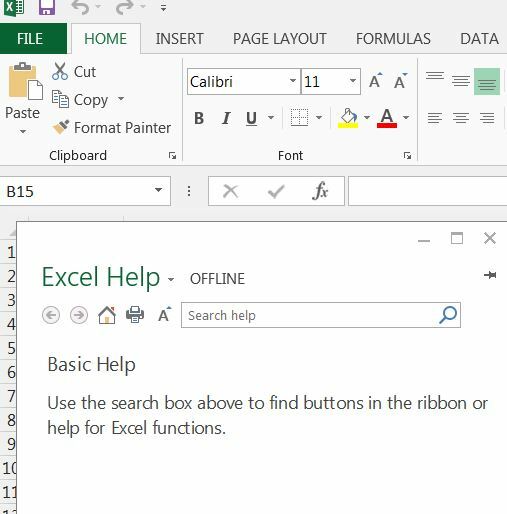 Getting help in Excel 2013 takes you by default to the Microsoft on-line help files, which is not only much slower than connecting to a local file, when you get there finding what you want is even slower. 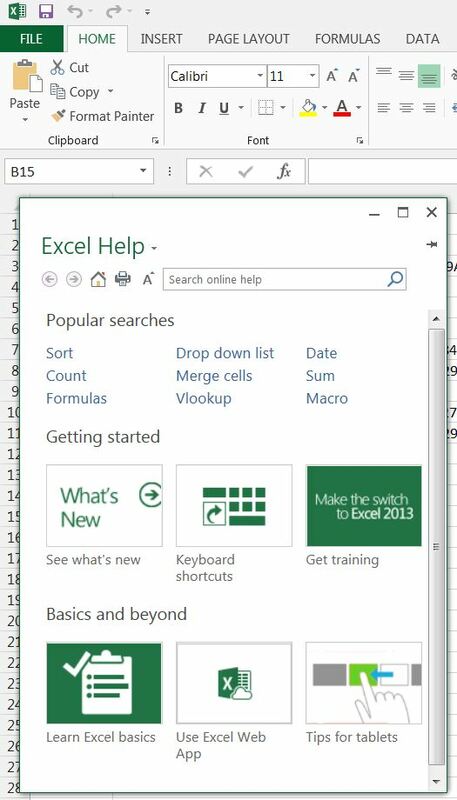 Click the down arrow, to the right of Excel Help, and select “Excel Help from your computer”, and you will get quick help instead of slow help from thereon (or until the next upgrade anyway). In the VBA editor things are not so easy. It seems that there is now no way to link to local VBA help direct from the editor. The best you can do is download the file “Excel 2013 Developer Documentation.chm” from: VBA documentation, and copy that to a convenient folder, where you can open and search it. Even that isn’t straightforward though. As downloaded the main window in the chm file remains blank! You have to right click on the file in Windows Explorer (or the file manager of your choice), and then click “Unblock”! After that, you can access local help on VBA, but not direct from the editor window, and of course it isn’t linked to what you are editing in the editor, so it is still far from convenient. The alternative (which as far as I can see has no real down-side) is to do your VBA development work in Excel 2010, which still has the old and far more convenient help system. This entry was posted in Excel, VBA and tagged 2013, Excel, Help, install local help, on-line help, VBA. Bookmark the permalink.